Tyrrells Poshcorn Bellini Cocktail is new on the block and getting us into the party mood. Tyrrells seem to sticking to the fruity theme following their summer Strawberries & Cream number and I am pretty intrigued to see how peach is going to fair. The partay season is in full swing so Tyrrells have made quite the fitting popcorn to serve at your shindigs. This 75g bag was £1.79 which is higher than Propercorn. 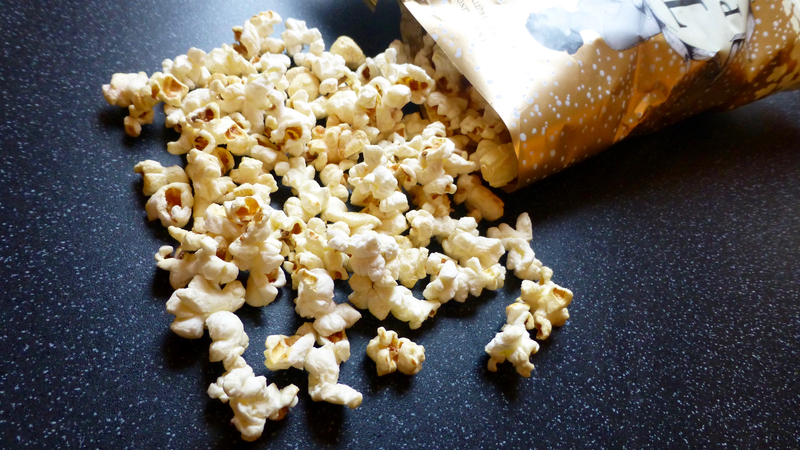 Like all Poshcorn varieties there are no artificial ingredients, is free from gluten and suitable for vegans. 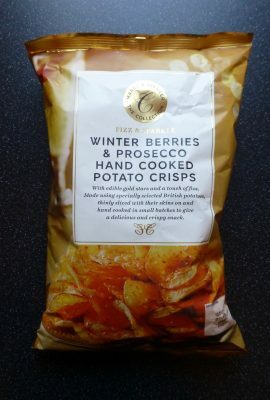 Following on from the horrendous experience with the M&S Winter Berries & Prosecco crisps I understandably had my apprehensions. The first couple of handfuls were pretty plain in flavour and I was suspect as to whether there was a peach bellini in there. Thankful the subtle undertones of peach sweetness started to come through and tantalised those taste buds. The popcorn itself was popped but not as crisp as it could have been, and the bellini flavouring seemed to be on the slightly darker popped kernels that were few and far between. 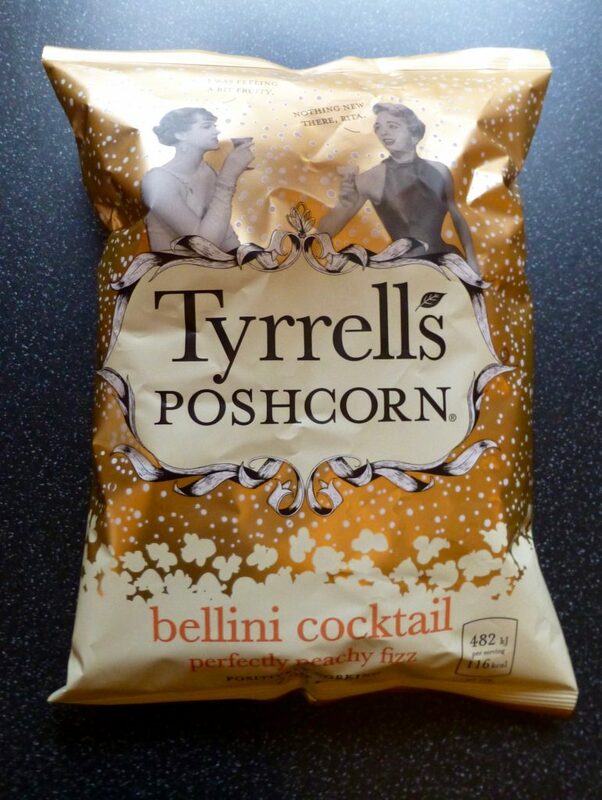 Despite being a tad scared to try these Tyrrells Poshcorn Bellini Cocktail weren’t as horrendous as I thought. It had a light fruitiness and sweetness to it that wasn’t too overpowering and worked well with the blanker platform that popcorn provides. 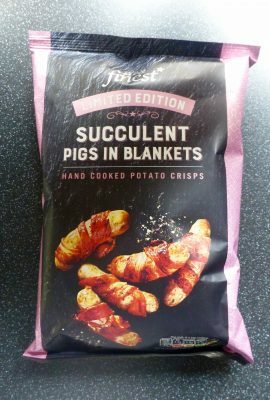 Sadly as experienced by Tyrrells Poshcorn before, the flavour is far too inconsistent and this isn’t one I would opt for again.